With his shaved head and neck tattoo, Jeff Charney doesn’t look like someone you’d expect to find heading marketing at one of the country’s biggest insurance companies. But it’s that affinity for the unconventional that has helped Progressive grow its sales, recently jumping over Allstate to become the third-largest insurance company in market share, according to the National Association of Insurance Commissioners. Charney joined Progressive as its Chief Marketing Officer in 2010. He leads the strategic, integrated marketing efforts for the $20 billion company. His responsibilities include marketing strategy, national advertising, internal/external communications, digital/social content initiatives, social responsibility, retention-marketing and consumer/broad market insights/research. He also directs the creative efforts of 96 Octane, the company’s award-winning in-house creative agency, and provides marketing communications support to the company’s 35,000 agents. 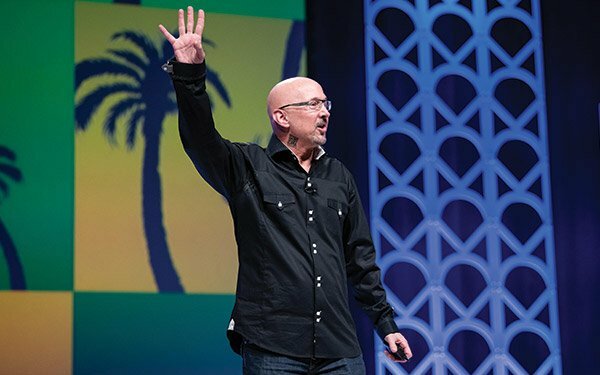 He’s a big proponent of in-house agencies, having started 96 Octane seven years ago, before the industry was even talking much about such a strategy. The ANA reports 78% of marketers currently have some form of in-house agency, up from 58% five years ago. Charney is no stranger to developing one-of-a-kind icons. In addition to Progressive’s “Flo” and a range of other “network” characters he and his team created, he was in charge of the “duck” as senior vice president and Chief Marketing Officer for Aflac. Previously, he held posts as Chief Marketing Officer at multimedia retailer, QVC and real estate aggregator Homestore.com (now move.com and parent of Realtor.com) and Chief Creative Officer at Fringe Ventures, LLC, an experiential digital marketing and consulting company he founded. His work has been honored at the Cannes and Sundance Film festivals, received White House recognition; he and his teams have garnered more than 50 awards. While consumers are risk-averse, marketers must discover what level of risk they and their companies are comfortable with, said Charney, who recently spoke to an at-capacity audience of more than 3,000 attendees at the Association of National Advertisers’ annual Masters of Marketing conference. It’s risk taking that has led Progressive to five years of record growth, he says. Charney says he won’t rest until Progressive is the No. 1 brand in the insurance category.